The most important person on an investor’s team is a great Real Estate agent. Real Estate agents can play a huge role in getting a deal, losing a deal, over-valuing a property and many other factors that can make you money or lose you money. I am an agent myself and I think it is a huge advantage for investors to be Real Estate agents as well. I wrote an article on this subject on why investors should seriously consider being agents as well here. If you don’t want to become an agent yourself, it is imperative you find a great agent to help you invest in rental properties. My complete guide to investing in long-term rentals has a lot of great information on investing in rental properties. There is a lot of information for any new investor to process when first starting out. A great Real Estate agent can make the process much less painful and make investing much more enjoyable. Finding a great agent can be tricky, but there are many things you can look for in potential agents. The first thing to know about finding a Real Estate agent is there is a difference between an agent and a Realtor. In most states an agent has to complete state licensing requirements and hang their license with a broker or be their own broker. 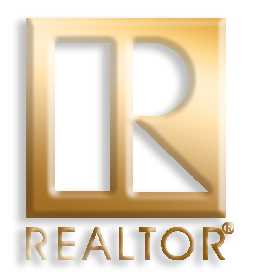 A Realtor has to do those things as well and they are part of the National association of Realtors(NAR). NAR has specific requirements for Realtors; they have to belong to local boards and they have to work by a strict code of ethics. Usually I suggest people looking for an agent, look for a Realtor, because of the code of ethics they work with. As with almost any professional service the best way to find someone good is from referrals. The first thing I do whenever I need help from a professional, is ask my friends, family and co workers who they recommend. It is usually best to ask as many people as possible, until you start seeing the same name pop up over and over. Even if you get a great referral of an agent you want to make sure the agent knows what they are doing. I have had referrals for agents myself that turned out horribly. There are many, many people who become Real Estate agents for a variety of reasons. Some want a little extra money, some want free time, some think it is a way to get rich quickly and others want to make a career out of Real Estate. You want to find the career agent who cares about their job and business. The first sign of how good an agent is, is whether they answer their phone or return a call quickly. The phone call from a potential client is one of the best leads for an agent, yet many ignore calls or take way too long to return calls. If you call a potential Real Estate agent, they should either answer their phone or call you back within a couple of hours. The reason getting a call back is so important, is investors need speed to get the good deals. If it takes an agent a day to call you back, that could mean the difference between getting an offer submitted and another buyer getting the property. Sometimes the busiest agents can’t answer their phone every time, or return calls right away. Usually the busiest agents are the best agents, but you have to ask yourself if you want an extremely busy agent working for you. Once again, they may be a great agent, but if they have too many clients to act quickly, then they may not be the right agent for you. If you find an agent who answers their phone, you still have a lot of work to do. You have to make sure they know what they are doing. Test their knowledge by asking simple questions about the types of homes you’re looking to buy. 1. Have you sold many Reo properties? 4. How do short sales work? 5. If I were to sell one of my houses how would you market it? You should already know the answers to most of these questions, but you want to know if your agent knows. How confident are they when answering these questions? If they are newer and don’t know everything that is okay, they should tell you; I don’t know, but I will find out. Real Estate is serious business and there are severe consequences for fraud or mistakes. You don’t want your Realtor pretending to know how to do things and get you in trouble. Is it smart to work with a new agent? inexperienced, but sometimes they make up for that inexperience with ambition. Most new agents are motivated and are excited about a new career. When I first started out I was very ambitious to work with buyers and sellers, but things change over time. I will be honest and say I am a horrible agent for investors. I don’t have time to show houses, write offers or check up on offers. I hand off leads to my other agents who do have time. That is another thing a new agent has going for them. They most likely have plenty of time to work for you. keep working hard. Even though lunch won’t make up for the hours of time they have spent, it may be enough to keep them going until you get a deal done and make them some real money. If you are planning on buying rental properties it helps if your realtor knows the rental market and investment property market. If they can help you determine rents or at least back up your thinking on potential deals that helps tremendously. It gives you that extra push to move forward on deals and they may also see potential problems that you do not see. This is a very important issue for investors or anyone using a Real Estate agent. Many buyers like an agent who stretches the rules to get them deals. Remember just because your agent was the one who wasn’t ethical, doesn’t mean the buyer or seller is not also liable. If the buyer or seller know the agent is being unethical or breaking laws then they can be considered just as responsible and pay dearly. Even if the buyer or seller doesn’t know their agent was being unethical they can be held responsible. HUD homes are a great example of how buyers and agents can get in trouble. If an agent helps a buyer bid as an owner occupant, when they are really and investor, both the agent and buyer can face criminal charges. HUD homes are government property, that means any laws broken regarding them are felonies. Buyers can face up to five years in prison and a fine of $250,000 for breaking HUD rules. Agents can lose the ability for their entire office to sell any HUD homes. Here is much more info On HUD homes. The guide I linked to, will also give you a ton of information on HUD homes that you can test your agent on. Don’t be to tough on your agent, HUD can be a difficult system to learn and they shouldn’t be expected to know everything. Another very important thing to consider with any agent is if they have backup. Agents go on vacation, get sick or have accidents just like everyone else. You want to make sure they have someone who can take over their business if they are unavailable. Many agents work on teams and this is a great way to know you will be taken care of if your agent can’t do it themselves. I have mentioned it many times in my blog, but speed can mean the difference between getting a deal and losing a deal. The last thing you want is your agent to be out of town and unavailable to show you a home or make an offer for three days. It can take a lot of work to find a great agent. If you are an owner occupant who only buys one house every five years, an agent may not be that important. If you are investor, looking to buy multiple houses a year, a great agent can mean the difference in thousands and thousands of dollars. If you choose an agent, who you don’t think is doing a great job, don’t be afraid to fire them. I have had to fire agents who were helping me before, because I misjudged their abilities, work ethic or character. If you want some help finding an agent, I may be able to assist you. I have a network of agents through my REO and investing groups across the country. Let me know if you need assistance finding an agent and I will do my best to find someone to refer you too. This entry was posted in Purchase Properties, Real Estate Agent and tagged houses, Investment, National Association of Realtors, properties, Property, Real estate, Real estate broker, Realtor, Sales, United States. Bookmark the permalink. Hi Mark. Thanks for the information on finding an agent. I’m starting out in the Atlanta market and looking for rental properties. I haven’t spent a lot of time looking for an agent but this is on my list. I’ve considered becoming an agent but not convinced yet that it’s the best use of my time. Do you spend most of your time sourcing your own investments? I spend a fraction of my time sourcing for investments. Most of my time I spend on my REO/HUD work. I might spend a couple hours a week on the investment side. I also have staff who can send out letters and direct marketing for me so that helps. I linked to your website via BP. Do you know a good realtor in Rochester, NY? I will check my contacts and get back to you.